So, for the last oh... six years or so, I have had a bit of a dilemma. It's well established that I love chocolate. So about six years ago, I was watching one of Giada's shows and she started talking about Nutella. She said that it was a wonderful chocolate hazelnut spread that she used to spread on top of toast that she would eat in the mornings for breakfast as a child. She said it was the Italian version of peanut butter. I thought OH MY GOSH!! Where has that stuff been all my life?? So I hopped in the car and immediately went to the grocery store to buy some Nutella. A few minutes later, I went to the mirror and my lips were about 5 times their normal size and I was as red as a beet!! Well, my depression ended last week. 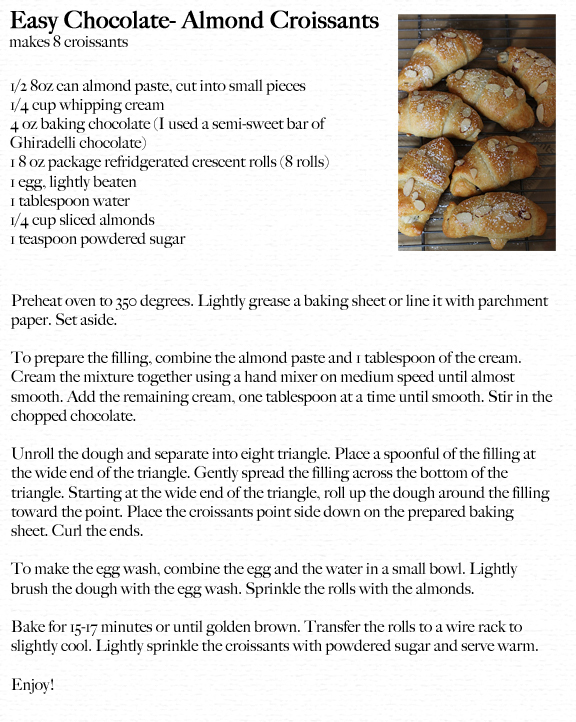 Just last week - when I ran across this super simple recipe for a version of a chocolate-almond spread that is baked inside of croissants. I knew I had to make them. 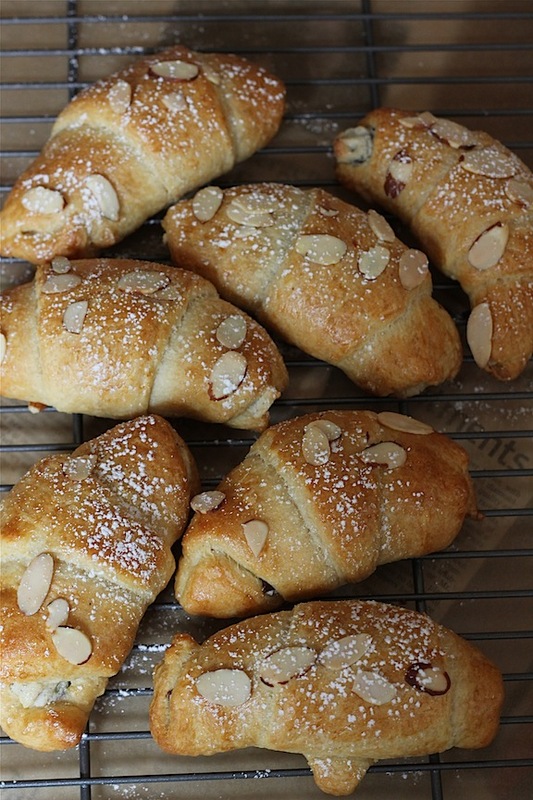 Oh my, my mouth is watering at the look of those croissants! Hazelnuts are my favorite, well, my favorite nut to go with sweets, can't believe you're allergic to them! Is it just hazelnuts, or the rest too? This looks so incredibly yummy Tiffany! Oh my gosh!! That is awful! Haha..I bet you were like "what!!??" Glad you found an alternative--they look delicious! Oooh yum!! These look heavenly! I go crazy over almond paste. 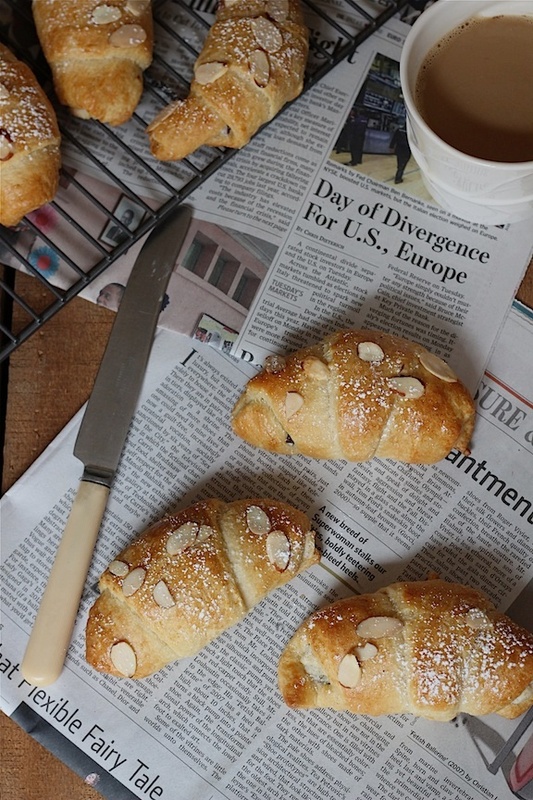 Not only are the croissants amazing the food styling is awesome. 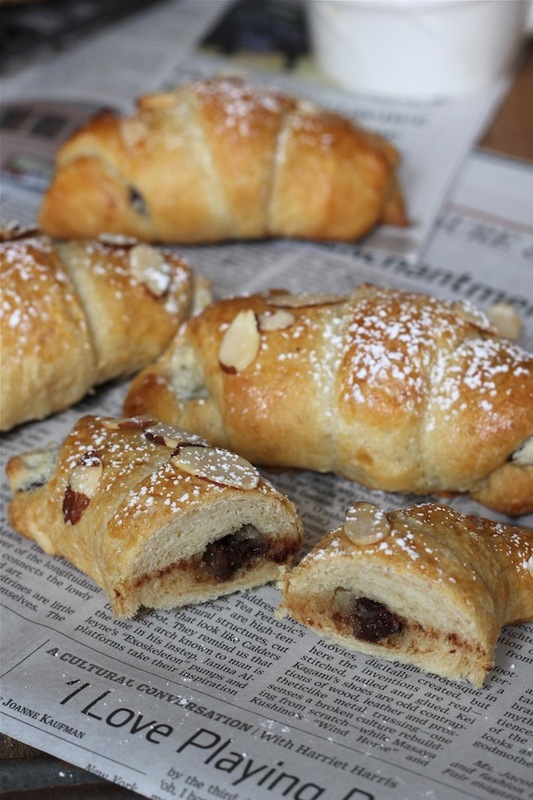 These look delicioussss...reminding me of Italy! Oh you are sooo cruel. I knew to not click over here but just had to come get a sweet fix. On a major diet...ugh! No sweets for awhile...but I can imagine that they are heavenly! 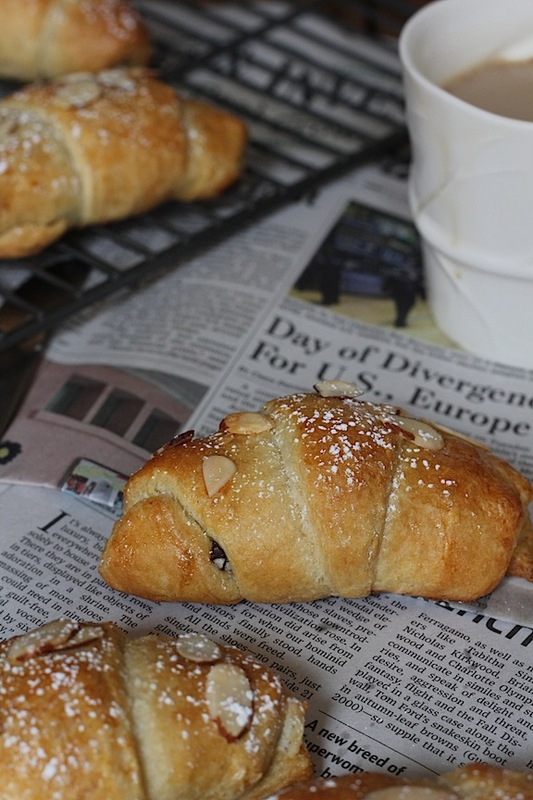 These look heavenly and I love the styling with the newspaper too! They look so very delicious , same thing happened with me and avo's didnt know I was allergic until my lips were so swollen . You know what they say...all's well that ends well! :) Glad you are okay after that ordeal. These look delish. Great photography, as always!